A recent survey by LexisNexis revealed that about 75% of lawyers recognise that the sector is changing faster than ever – yet only about one in five of those surveyed agree that their own firm needs to evolve. So, what’s behind this apparent paradox? Do 80% of the survey respondents really work for firms that are already at the cutting edge of the profession? Or are they just complacent? And what are the implications for newly qualified lawyers embarking on their careers? Probably the biggest single driver of change in the industry is the increasing advance of technology. Everyone has read about the perceived threat of artificial intelligence (AI) and how it is set to take lawyers’ jobs – and although Michael Skapinker of the Financial Times wrote recently that, like plumbers, lawyers are not yet approaching their ‘Uber’ moment and remain largely a “disruption-free profession”, other commentators take a slightly different view. I am more inclined to the latter point of view, and although the profession may be some years away from being affected by technology to quite the same extent as the taxi industry, changes are certainly afoot that newly qualified lawyers need to be aware of early in their careers. It’s important to note that AI isn’t something to be afraid of; adopted in the right way, it will enable lawyers to perform their work more effectively. It’s clearly crucial in any law firm or corporate legal department for work to be resourced appropriately – and if some of this work can be done by a machine more quickly and more efficiently than by a human, then of course that option should be considered. Lawyers embarking on their career can make an important investment in their future by equipping themselves with knowledge, not just of how AI works, but also how and when it can be best utilised. For example, algorithm-driven automation and data analytics can allow lawyers to ‘productise’ their performance of high-volume tasks and judgement-driven processes – creating better, faster and cheaper delivery of legal services. It’s also critical to be aware of the various types of AI to utilise – and there are certainly plenty to choose from. In fact, according to The Inhouse Counsel’s LegalTech Buyer’s Guide, published by LawGeex, the number of legal technology companies has increased by 65% in the past year. 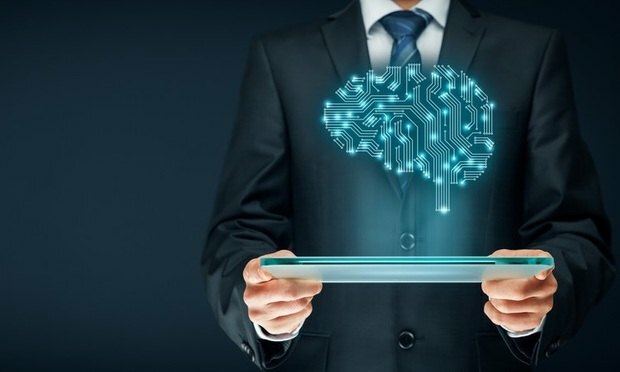 Providers being considering by many firms include ROSS Intelligence, which uses IBM Watson to help lawyers perform legal research using natural language search, and also provides a tool that checks cited case law to determine if it is still good law – a task that traditionally took lawyers many hours to perform. Another leading provider is Onit, an ‘enterprise legal management’ solution that automates business processes and builds improved workflows, creating tremendous gains in efficiency. The areas of legal practice in which technology can be deployed are many and varied – from contract drafting and management to e-discovery, legal research, due diligence and IP. If anything, AI and other associated technologies are creating huge opportunities – especially for younger lawyers – but it’s important for those who are newly qualified not only to recognise those opportunities but also to appreciate how the job is changing. It’s a natural evolution that has taken place in many other professions – tasks that can be automated generally are automated, sooner or later – and clients naturally want to see law firms adapting and ensuring efficient delivery. Jeffrey Catanzaro is vice-president of the legal business solutions team at UnitedLex, and advises on the assessment, acquisition and implementation of legal technology to enhance professionals’ lives (rather than ushering in the robot takeover).